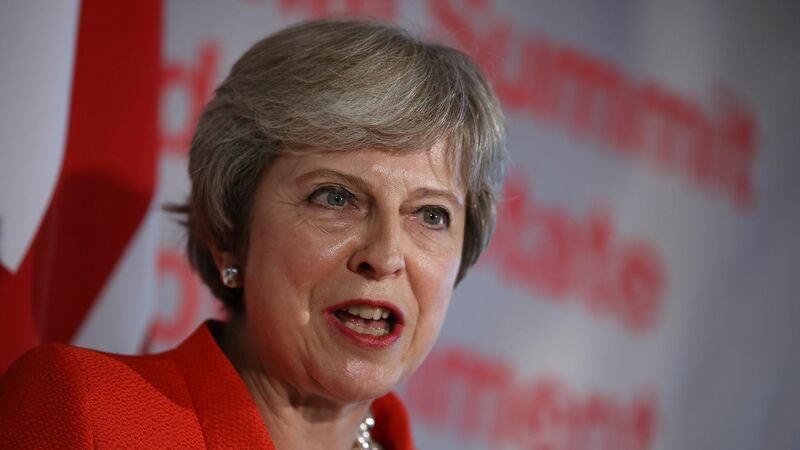 At an informal EU summit in Salzburg, Austria, British Prime Minister Theresa May said her Chequers plan for Brexit is "the only serious and credible proposal" that has been brought to the table, while European Council President Donald Tusk said the plan "will not work," reports BBC News. The big picture: Negotiators for the U.K. and the EU cannot get past the question of what to do about the Irish border. Tusk has said that, if needed, there will be a special EU summit on Nov. 17 and 18. But May's persistence that Chequers is the only possible way forward — despite today's forceful rejection by EU leaders — offers little reason to be optimistic that a compromise will be reached.